Putting cities on a path to zero-carbon energy systems will require transformative changes in the way that electricity is produced, purchased, and consumed. 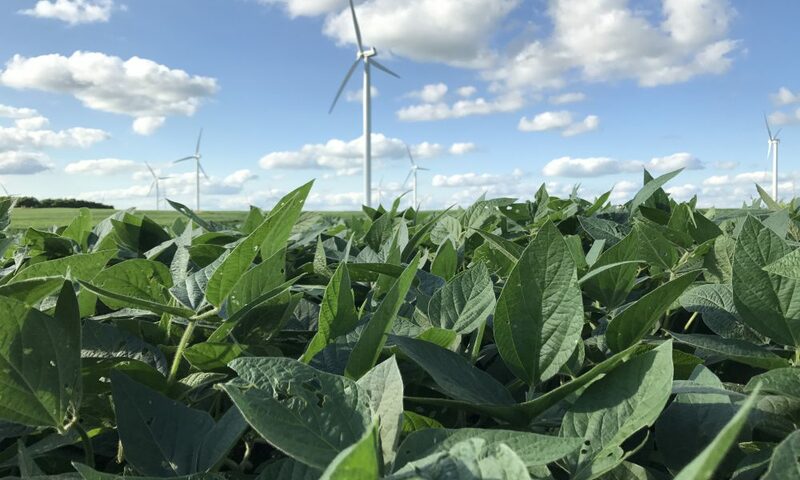 To meet this goal, cities, their residents, and the utilities that serve them will need to procure electricity generated from carbon-free sources while substantially increasing local renewable energy generation. 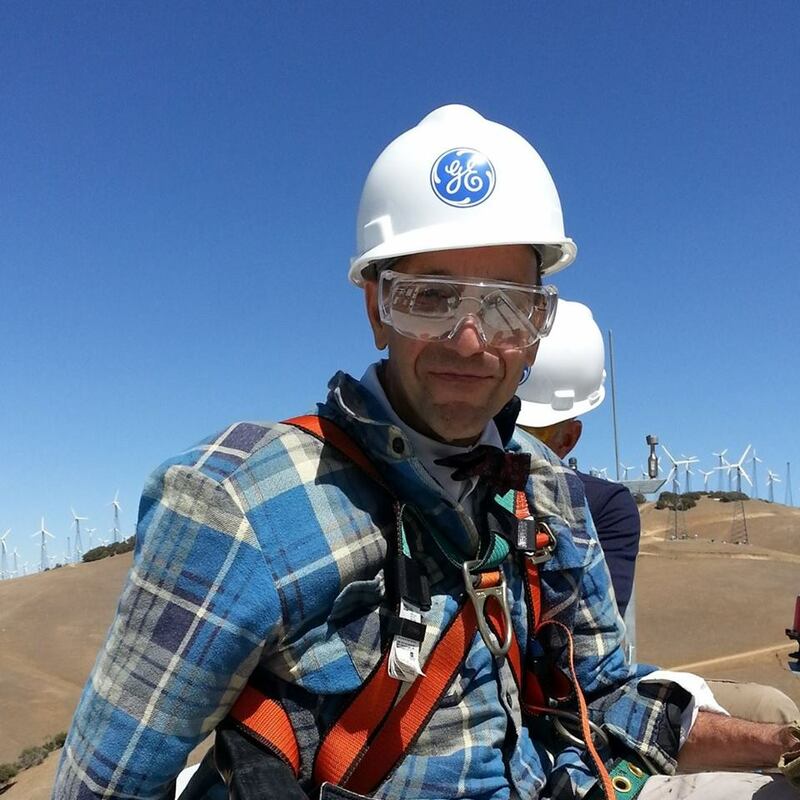 The practice of transforming cities’ energy supply systems is variable and complex. 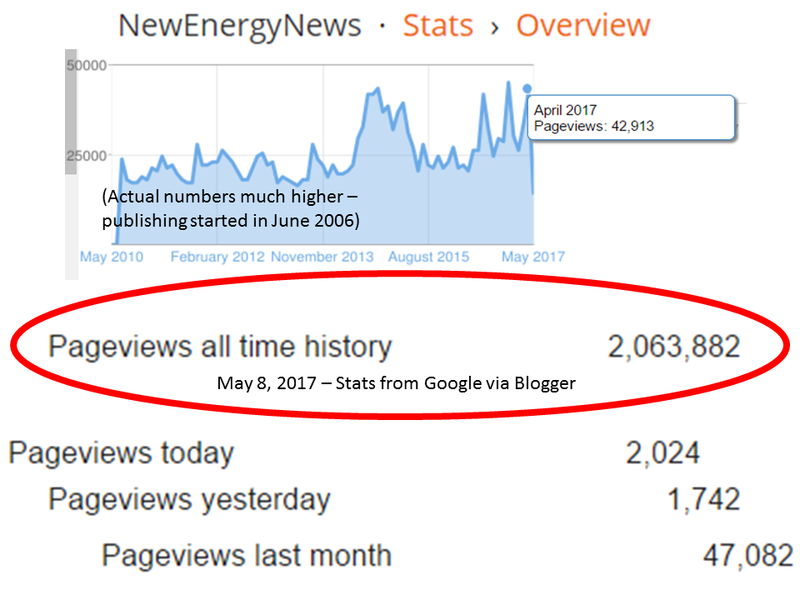 In the U.S., the vast majority of cities do not directly control their energy supply. Instead, policy and regulation is set at state, regional, and national levels. As cities strive to meet their deep decarbonization and renewable energy goals, they will need to act on and influence their energy systems in new and creative ways. 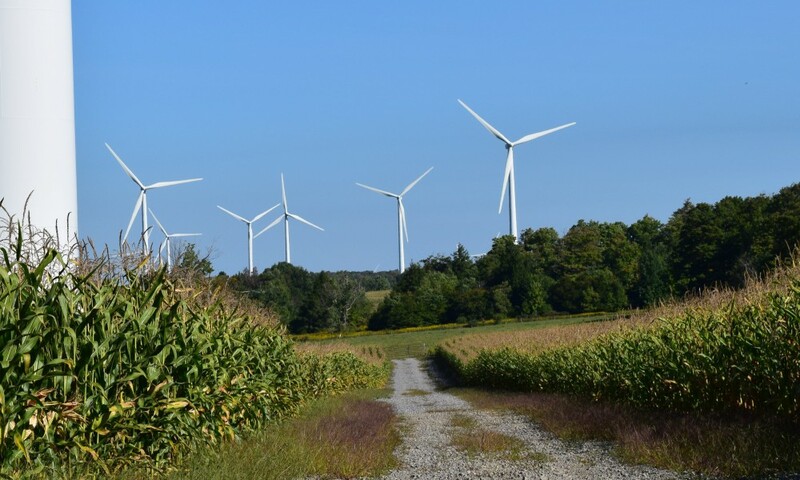 Pathways to 100 provides a high-level map of pathways for municipalities seeking to transform their energy supply, outlining strategies for both municipal operations and for all energy users within municipal limits. The document is organized around a three-step process that cities can use to identify an appropriate pathway forward. These are: 1) map the city’s energy landscape, 2) identify available strategies, and 3) organize for energy transformation. These steps guide cities through the key factors that determine their level of influence over energy supply (e.g., state energy policies) and map out available strategies for energy transformation. 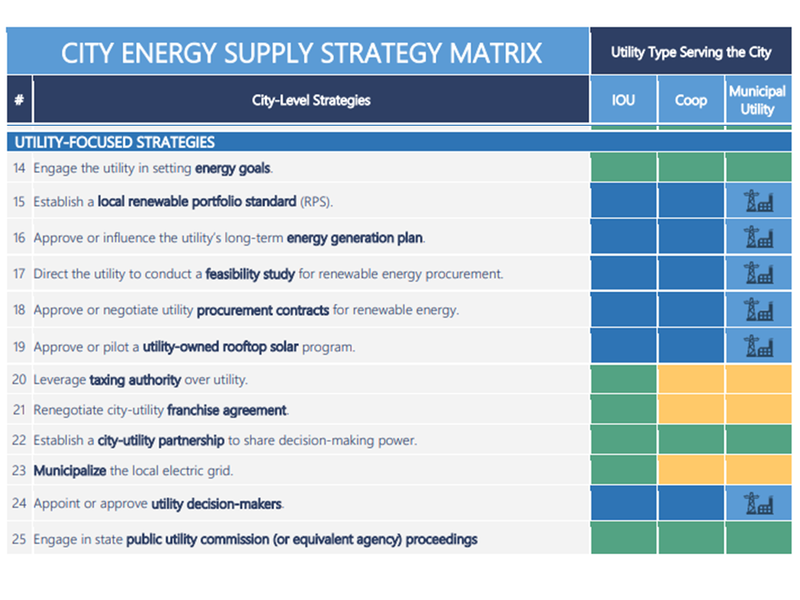 These strategies range from interventions into energy supply management (e.g., community choice aggregation or utility municipalization) to more traditional forms of influence (e.g., active participation in formal energy regulatory proceedings). While Pathways to 100 focuses on transforming electricity supply, it touches briefly on renewable heating and cooling, and energy efficiency where these topics intersect with electricity supply. Pathways to 100 is designed for use by city policymakers, planners, and administrators, as well as funders seeking to support local level energy transformation. 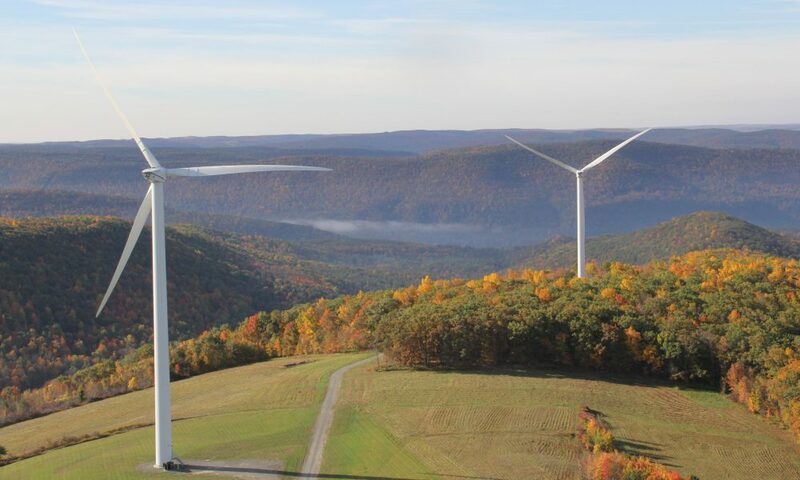 It enables local leaders to select pathways to meet ambitious decarbonization goals, whether through the development of energy plans, electric utility engagement, or prioritizing next steps for climate and energy initiatives. The document is intended to support a diverse range of stakeholders working to advance decarbonization and ambitious renewable energy goals at the city level. While many cities do not have full control over their energy systems, cities can deploy a range of policy tools and strategies to influence their energy supply. City leaders seeking to transition towards zero-emissions energy sources should understand the appropriate application of these tools. 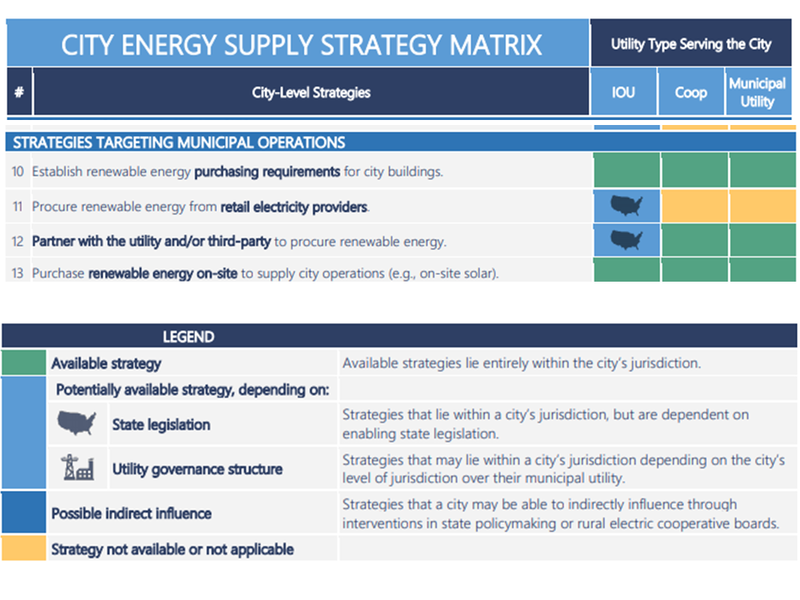 This document provides a high-level map of pathways for municipal energy supply transformation, structured around a three-step process for cities to identify a pathway forward: 1) map the city’s energy landscape, 2) identify available strategies, and 3) organize for energy transformation. A city’s options for energy supply transformation depend on the details of its energy landscape. 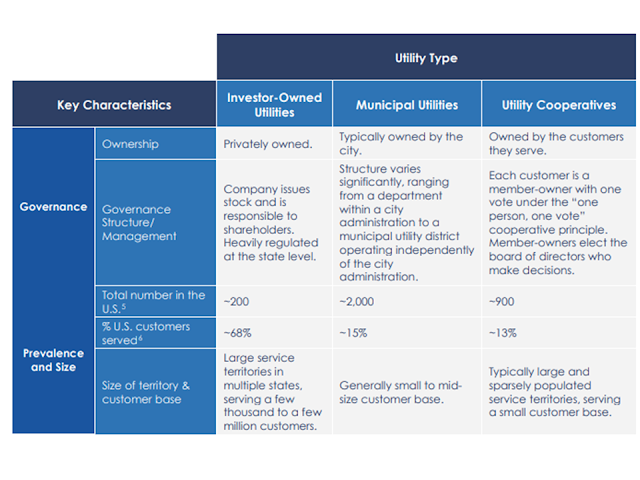 Two factors are particularly significant: the utility type and the state’s energy policies and regulations. State energy policies and regulations. The state policy and regulatory landscape determine which strategies a city can use. 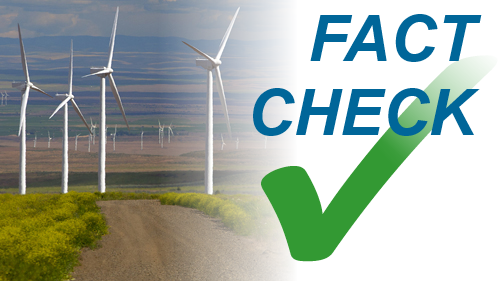 Six key state energy policies that enable greater municipal control are listed in Table 1 on page 5. 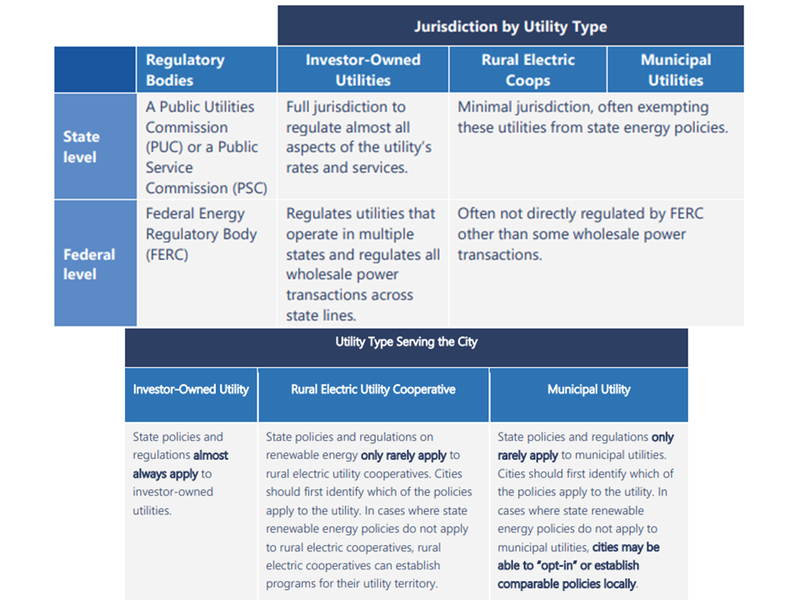 Municipalities in different states will have differing degrees of authority in local decision-making (including enacting energy ordinances), as dictated by state law (e.g., Dillon’s Rule vs. Home Rule states).  Consumer-oriented strategies include strategies cities can leverage to enable energy consumers, such as city residents and businesses, to procure renewable energy or generate their own renewable energy on-site. Cities can leverage most of these strategies regardless of utility type or state legislation, except for a few that depend on enabling state policies (strategies #7-9).  Strategies targeting municipal operations include approaches for cities to procure renewable energy to meet the demand of municipal operations. Cities usually control the energy supply for their municipal operations, but the strategies cities can leverage depend on the utility type and on enabling state energy policies. Large-scale energy transformation will require engagement and contributions from city residents and small business organizations, local institutions, and industry in addition to the city government. City resources—which include staff capacity, technical expertise, and financial resources—are often limited. 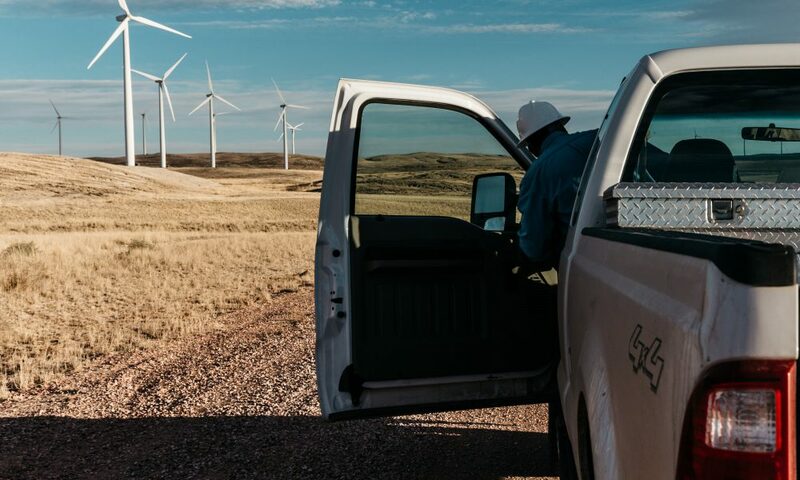 To successfully drive energy supply transformation, cities need to consider the required capacities and financial resources, and develop strategies to effectively leverage both internal resources and external partnerships. A rapidly growing vanguard of U.S. cities have committed to dramatically transforming their energy supply systems away from fossil fuel and toward zero carbon or renewable sources. A handful of cities have achieved a 100% renewable energy supply, and over two dozen more have committed to 100% renewable energy goals. Others have targeted deep greenhouse gas emissions reductions (e.g., “80% by 2050” and carbon neutrality) that will require dramatic transformation of energy supply systems to achieve. Many more cities are just setting out on this pathway. As cities explore the available options, they will find that there is no one-size-fits all strategy for energy supply transformation. How each city should approach energy transformation depends on the details of its energy landscape: the type of local distribution utility and state energy policies, among other factors. Assessing the impact of these variables and charting the most effective path forward is complex, and can require a lengthy process requiring specialized expertise. Pathways to 100 seeks to help cities understand their energy landscape and identify strategies that are applicable to their utility and state policy context. 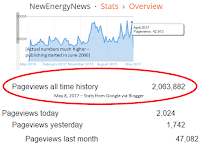 This essential first step allows cities to narrow the list of potential strategies and focus on those that will be most effective in their unique utility and regulatory context. 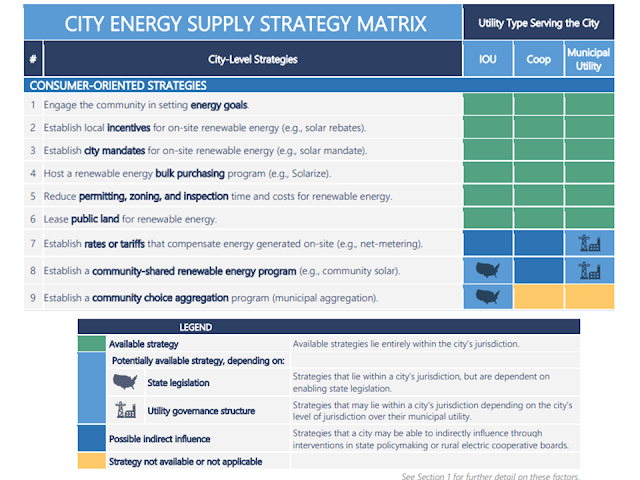 This resource is designed to help cities plan strategically but also move quickly towards action by identifying some of the staffing strategies, partnership models, and support networks that can help operationalize municipal commitments to energy supply transformation. This guide is also designed to facilitate knowledge sharing, peer learning, and strategic program development for funders, non-profits, community organizations, and network organizations that support or complement the actions of city governments. By providing a common framework and language on energy supply transformation planning, cities and their partners can more easily identify commonalities and differences in context and hone in on the insights most applicable to them.